Today’s San Francisco Chronicle reports that the CTIA, the powerful trade and lobbying organization for the cell phone industry, will sue San Francisco on grounds that informing citizens of possible health risks from cell phones violates manufacturers’ 1st Amendment Constitutional rights. They claim that disclosing manufacturers’ own safe use precautions (which are currently hidden in the fine print of user manuals) and offering consumers facts regarding possible health risks from their products is illegal. In May, the World Health Organization (W.H.O.) declared that the microwave radiation emitted from cell phones is a possible human carcinogen (i.e. ; it has the potential to cause cancer, in particular, a malignant brain tumor called glioma). (IARC Press Release). 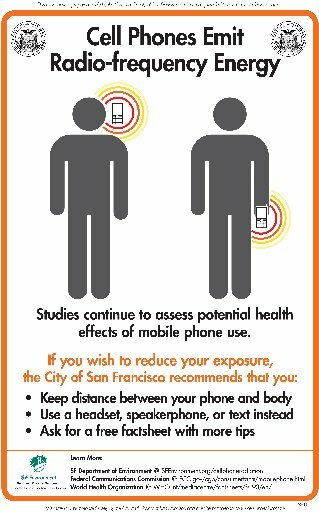 In spite of this recent finding, and given all the non-industry-funded, published studies that have documented negative health effects from cell phone radiation, you’d think the FCC or FDA would take some action to issue precautionary statements of their own!? However, soon after the W.H.O.’s announcement that cell phones may indeed cause deadly brain tumors, the FCC and FDA’s consumer websites assured the 300 million cell phone users in the US that their cell phones were perfectly safe to hold directly against their heads all day. They would continue to monitor the research (i.e. ; do nothing). The industry’s millions of dollars spent each year lobbying Congress has paid off; there is little chance the feds will take any action on this issue for a long time. So, it’s up to city and state governments to inform their citizens and stand up to the legal intimidation of the CTIA. San Francisco is the first to do so. 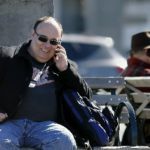 The cell phone industry knows that if they lose this case, other cities and states will be empowered to ignore their bullying tactics and financial threats of expensive lawsuits and take action to adopt similar consumer disclosure laws. The CTIA’s legal challenge to San Francisco’s “right to know” law will have its day in federal court on October 20th.